We would like to invite all Parents, Carers and anyone with children under five years, to come and join in the fun. We start at 09:30am, at 10:30 we provide a drink and healthy snack for the children and coffee/tea and homemade cake and biscuits for the adults. At 11:10am we tidy all the toys away ready for a few songs before home time at 11:30am. First session is free of charge, then it’s £2 per family each week there after. 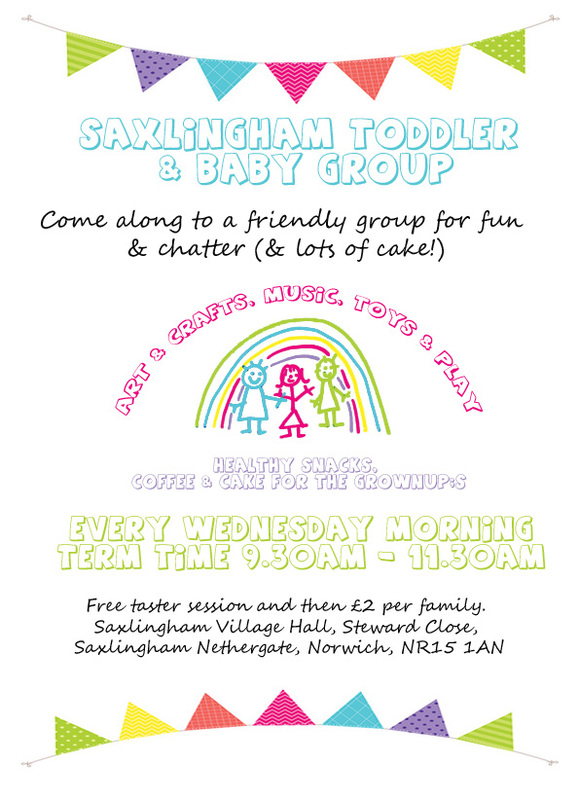 Saxlingham Village Hall, every Wednesday during term time.